WASHINGTON (CNN) -- Despite a bleak economic environment featuring wide-ranging layoffs and rising unemployment, the nation's premier law enforcement agency is touting "one of the largest hiring blitzes in our 100-year history." 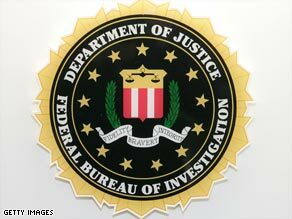 The FBI is about to embark on its biggest hiring spree since immediately after the September 11, 2001. The FBI posted openings for 850 special agents and more than 2,100 professional support personnel. Officials say it's the largest FBI job posting since immediately after the September 11, 2001, terrorist attacks. The FBI's unexpectedly large number of job openings results more from attrition and a wave of retirements than from growing government appropriations, Bureau officials told CNN. The FBI routinely advertises openings for individuals with critical skills in computer science and language fluency. But John Raucci, assistant director of the FBI's Human Resources Division, says current needs are much more wide-ranging. "We're also looking for professionals in a wide variety of fields who have a deep desire to help protect our nation from terrorists, spies and others who wish us harm," Raucci said. The lengthy list of openings includes positions in finance and accounting, security, intelligence analysis, training and education, nursing and counseling, physical surveillance, electrical engineering, physical and social sciences, and auto mechanics. Procedures for applying and a full listing of available positions are posted on the Web site fbijobs.gov. "This is a great time to apply for a great job in the FBI," said the bureau's chief spokesman, Richard Kolko. Officials note at least a few jobs are currently available in every one of the FBI's 56 field offices across the nation. The FBI lists openings throughout the year, but seldom has anything close to the current number of available positions. The present job postings expire on January 16, but a new, possibly smaller set of openings will be posted shortly thereafter, the agency said.